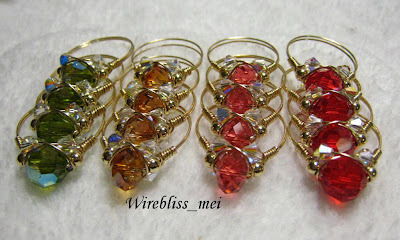 Just when I thought that I am quite slow with my hands, today I surprised myself with these sparkling swarovski crystal rings. I made them, all 16 of them this afternoon, while the boys were taking their nap. A new record for me. 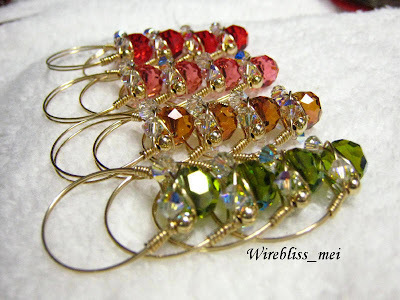 These rings are made up of 8mm swarovski crystal (round and rondelles) as the focal and surrounded by two gold plated 4mm round bead and 4 pieces of 5mm crystal swarovski crystal (bicone). 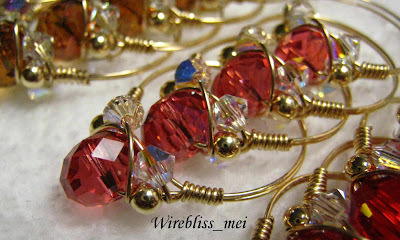 They are wrap with 24g, 14k gold filled wire. There are four different colors that I managed to complete this afternoon and each consists of 4 different sizes, i.e size 15, 16, 17 and 18. 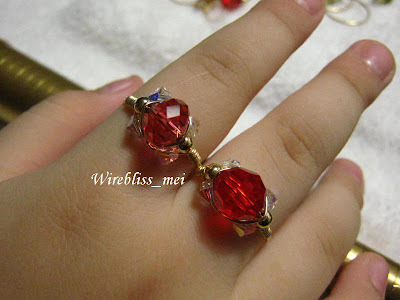 If you are not sure about ring sizes, check it out here for the conversion chart. 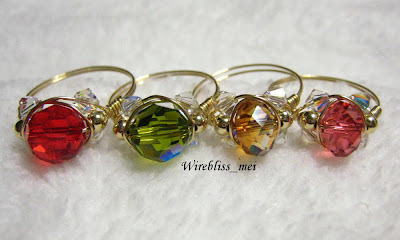 If you really like sparklies, these rings are available for purchase. You may email me directly for inquiry or leave a comment and I will get back to you. There are more sparkly rings on the way.